Any shade change to a person’s teeth can make a noticeable difference in anyone’s smile. The goal for teeth whitening should be to achieve individual, optimum whiteness and still look natural. How many shades your teeth can be whitened depends on many factors. Some of these factors you can control and some factors you cannot. Non- smokers who do not drink coffee or tea often do not see changes in tooth color after a bleaching procedure. Your own long- term results depend on habits and specific foods you eat. If you find it hard to completely eliminate coffee, tea, cola, red wine and other stain-causing items from your diet, you may require a touch-up treatment at regular intervals. 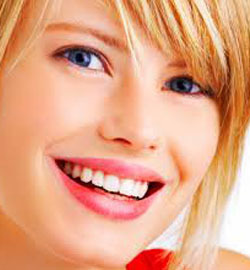 For further information about teeth whitening, give Power Ranch Dental a call at (480) 988- 2282. We look forward to hearing from you!